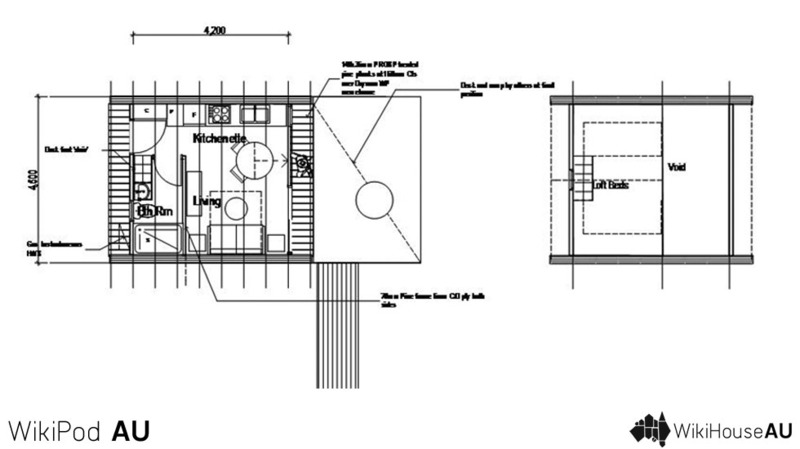 This is the entry level to a self-contained (SC) dwelling . The WikiPod consists of a single room with annexes of bathroom , Loft bed and kitchenette. The front threshold is the beginning of a terrace which can extend the feeling of living beyond the interior and engage the exterior in functional outdoor living spaces particularly in sub-tropical climates. The back thresholds that can host the Hot water service, bracketed bike storage and refuse bin. The size is also ideal for that SC student accommodation for the ‘Birds that won’t fly away’. 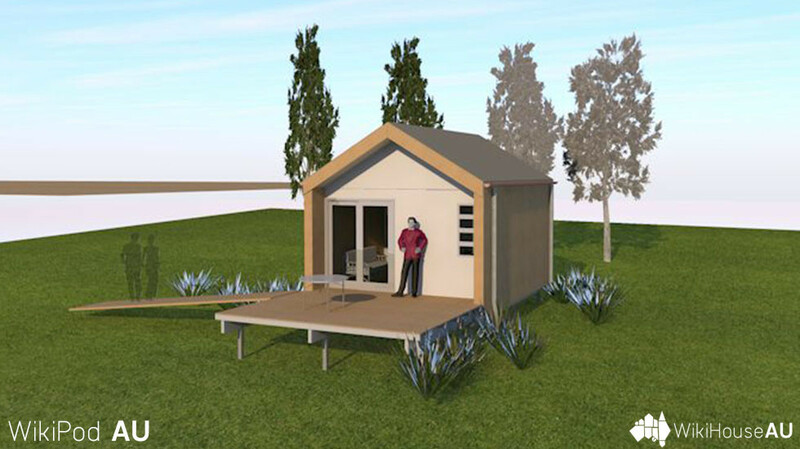 Also ideal for eco-resort cabins with a minimum footprint so it can be located amongst the trees. Most importantly the size qualifies for the ‘tiny house’ revolution, which is a world wild response to sustainability in housing.